The head of Google in Ireland has said the company needs to do a better job when it comes to stopping sexual harassment and poor treatment of female employees. However, Fionnuala Meehan said no employees from the company's Dublin office have been fired for such issues. She added that the problem is taken very seriously and as site lead she would be aware of any firings from the European Headquarters if any had occurred. "We have a wonderful culturally diverse place to work here. But I think the thing that binds us together is respect," Ms Meehan said. "And we talk about those values and respect from the moment somebody is hired". Last week thousands of Google employees around the world, including hundreds in Dublin, walked off the job for an hour in protest at the company's treatment of women. The action followed a recent string of revelations about sexual harassment of women in Google workplaces around the world, and the news that at least 48 people had been fired in recent years for such misconduct. "We set very high standards for ourselves as a company, and I think it is clear from the upset and disappointment that we all felt that we need to do more and we need to listen more," Ms Meehan said. "And part of that was supporting the walkouts last week and listening to the types of ideas that those groups have," she added. Ms Meehan said the firm is looking at how it can come up with answers to the problem globally, and how it can work those solutions into the company across the world. She was speaking as the internet giant marked its 15th anniversary of setting up an office in Ireland. She also revealed that the number of people Google employs here both directly and indirectly has grown to over 8,000, with more than 1,000 new staff added in the past year. The new roles have been across the business, with its Dublin-based Google cloud team particularly growing in size. The company currently has around 240 open roles waiting to be filled. "70% of what we do here is sales, and so a huge part of that is working with businesses large and small," Ms Meehan said. "So that is a huge part of our growth story as a company. Adding to that story is our cloud business and we’ve doubled the size of that team this year", she added. Currently there are 70 different nationalities among the Google workforce in the capital and 75 different languages spoken, because the company serves 100 markets across Europe, the Middle East and Africa from Dublin. To mark its anniversary, Google has launched a new €1m Dublin Impact Challenge. The initiative, organised by the firm's philanthropic arm Google.org, will see not-for-profit innovators and social entrepreneurs compete for funding for ideas that should make an impact locally in the County Dublin area. 15 proposals will be chosen and each of those will receive €50,000 in grant funding to turn their plan into reality. Four of the 15 will also receive an additional €50,000. This marks the first time that Google.org has run an Impact Challenge outside of the US. "I think it's really important that we reach out to the community and ask them can we help, what ideas do you have," Ms Meehan said. 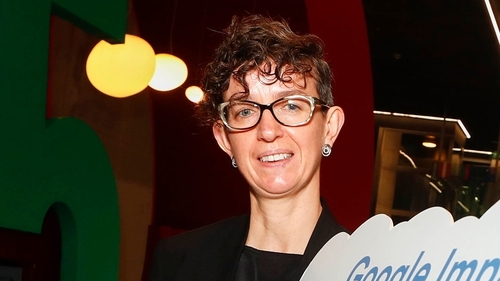 One of the biggest social issues in the city right now is housing, but the Google Dublin boss says that is not an impediment to growth at this stage. Nor does she think that Google is contributing to the problem by driving up property prices. "People who come to live and work in Dublin understand that they are coming to a capital city where market forces are at play," she said. "And if they want to live in the city centre there is probably a premium to that and I think that is why we are asking the local community for ideas in terms of what Google could do better and how could we use the skills and resources that we have, how could we use technology," she said. She confirmed that Google will rent out apartments in the Boland's Quay development that it has taken a lease out on, although it has no plans to make them available for affordable housing for locals. Despite smaller technology firms increasingly finding it hard to attract suitable talent to grow their businesses, Google is not experiencing this problem, according to Ms Meehan. "I suppose that you have to remember that we are looking in Ireland for sales and engineering jobs, but we are also looking more broadly across Europe the Middle East and Africa," she said. "And so we do a lot of campus hiring at Irish universities but also at universities right across the region". "I suppose in Ireland we are very bullish in particular about the amount of software engineering talent and feel that could be part of the next 15 years for Google, with companies like Stripe opening up their international engineering headquarters here it bodes well," Ms Meehan stated. Another potential threat to Google's business would be the introduction of a tax on digital companies here, similar to that announced by the UK government last week. But Ms Meehan said the company leaves it to the tax authorities to set the tax rules and it will continue to pay all of the tax that it is required to by law. Asked whether Google pays enough tax here, she said the company pays the tax it is required to, adding that the issue also needs be looked at in the context of the overall investment of €1 billion that the business has made in this country. She said the internet giant favours international reform of taxation to make it simpler and more straightforward. On Brexit, Ms Meehan said the issue is not slowing the company down in terms of investment decisions but she added it is causing uncertainty for its customers, particularly its small business clients. She said Google has been out and about recently talking to businesses about how they think about how they transact online and across borders because, she added, every business needs to be thinking about that.